Hello everyone! 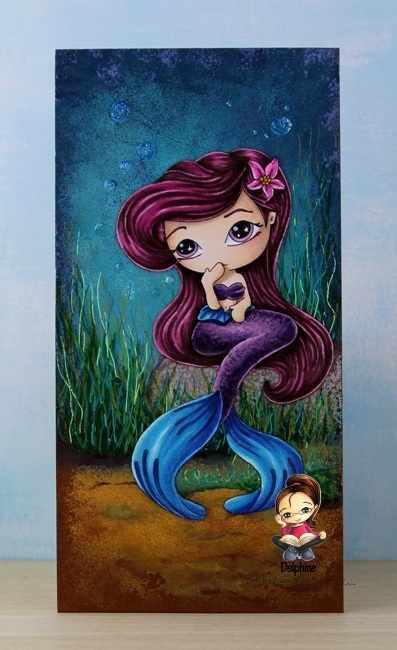 Today I'm sharing my Glimps DT make, a summery creation with an adorable mermaid - Ariel. 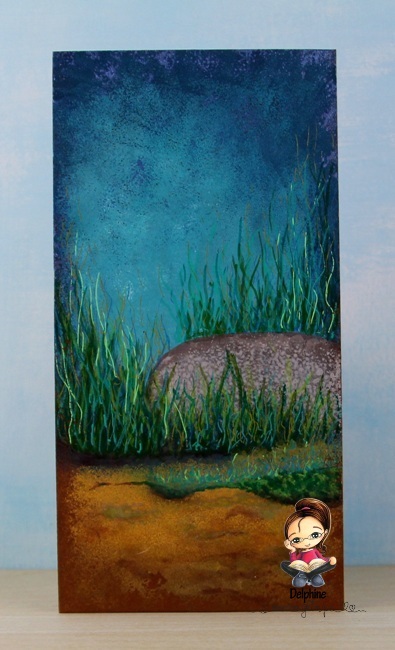 I decided to do a bit of Mixed Media and picked a Grey Board on which I created my background. 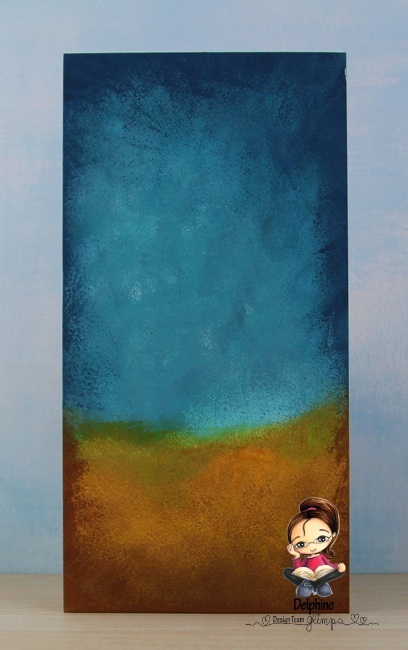 I created the background by sponging Acrylic Fresco Paint on my board then added a bit of Liquitex acrylic inks on the edges. 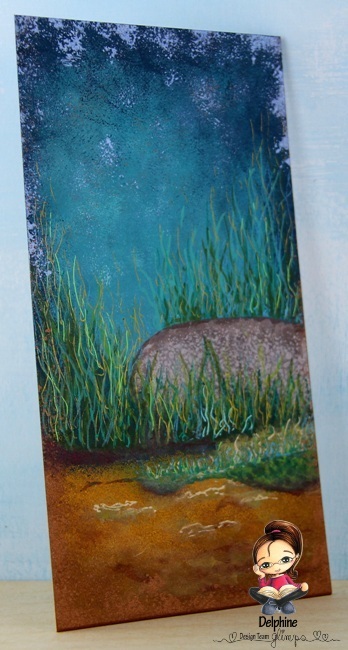 I then added a rock, seaweed and details using acrylic paint markers and Sakura and Pentel Gel Pens. 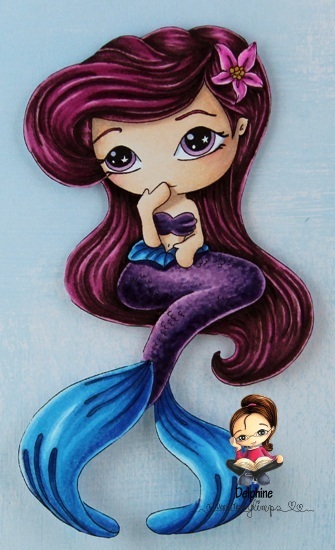 I coloured Ariel in Copics on Make it Colour Blending Card then did some fussy cutting. And I stuck my mermaid on my board and added a few bubbles and also covered Ariel's body in Wink of Stella.